Unfortunately, people can get hurt in a car accident, or even at work. If this is you, it is vital to your health to make sure your spine is in proper condition. In car accidents, some may experience whiplash, which actually reverses the natural cervical curve, causing extreme discomfort. Another example is individuals who are constantly lifting heavy items and usually have the improper technique leading to low back pain. It is of utmost importance to prevent these conditions from getting worse, get you stabilized and get you to a point where your body is functioning better. Today, a majority of individuals are confined to sitting at a desk. This leads to poor posture including rounded shoulders, increased forward head posture, and an immense amount of pressure on the lower back and neck. Sitting is the worst position for the body. It is crucial to keep proper spinal hygiene and reverse the damaging effects that the workplace can have on the body. 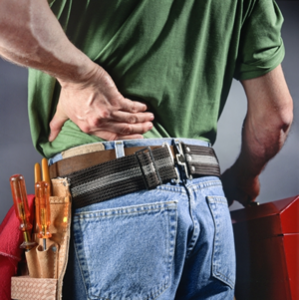 Having proper spinal alignment in the future will help to prevent further injuries. If you continue to drive around in a car that hasn’t been aligned, the performance of that car is going to decrease, it begins to break down piece by piece and ultimately ruin that car. Why not be proactive about your health? Even day to day activities can have an effect on the spine and nervous system. Examples include falling asleep on the couch with your head in a crunched up position, gardening, the dreaded snow shoveling, carrying your child on your hip back and shoulders, and rough housing. 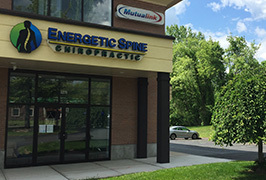 It is important that you take care of yourself, and visiting your Meriden/Wallingford chiropractor will help. Don’t let these everyday activities take a toll on your body.